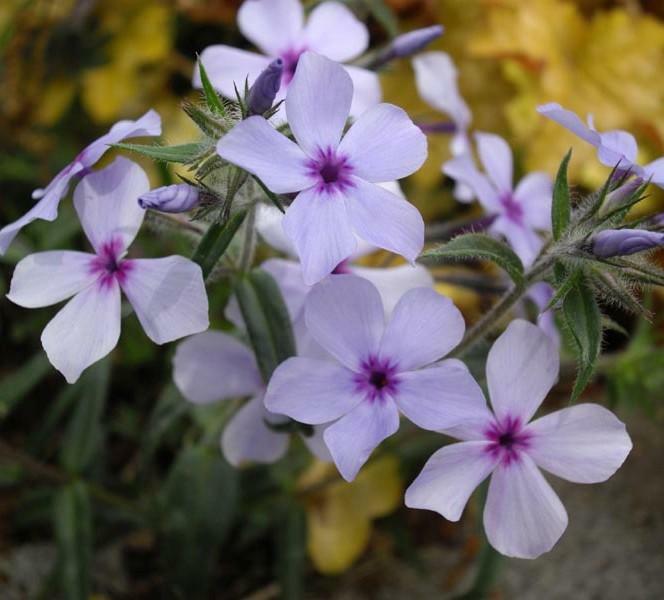 Phlox divaricata Chattahoochee is a low- growing, bushy, semi- evergreen perennial. 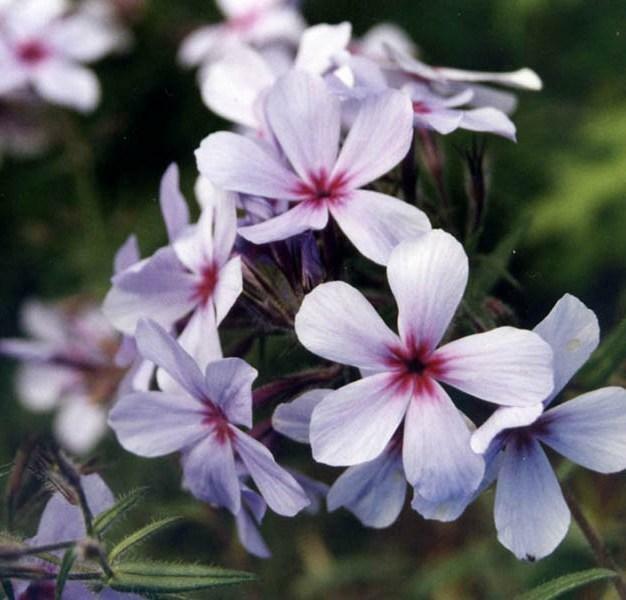 Purplish stems with lance shaped leaves and covered with very fragrant, blue flowers with a purple- maroon centre. Flowers during late spring and early summer. Prefers partial shade in a fertile, humus rich, moist but well drained soil. Hardy. Height 0.10m, spread 0.50m.